Post-graduate chemistry students from the University of New Brunswick’s Fredericton campus have been published in Chemical & Engineering News (C&EN). C&EN is a comprehensive and authoritative magazine publication providing professional and technical information in the fields of chemistry and chemical engineering. Mr. Jayden Price, a master’s candidate in organic chemistry, and Ms. Barbora Balonova, a PhD chemistry candidate, are analyzing the lifetime and quantum yields of samples’ emission properties to determine their potential applicability in organic electronics. 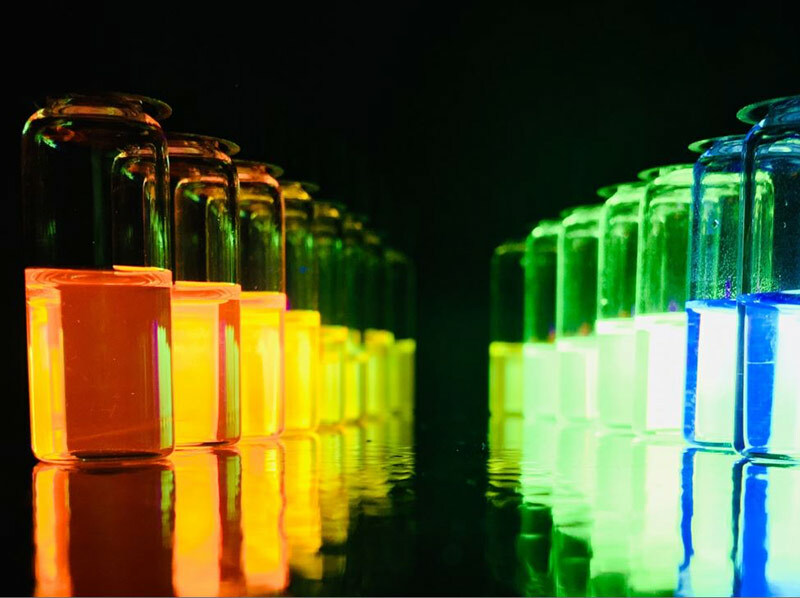 Mr. Price prepared samples of multi-coloured fluorescent compounds. Ms. Balonova took the photo of conjugated compounds under a long-wave ultraviolet light and submitted the photo to the C&EN photo contest. Each month, C&EN editors select and publish their favourite reader photo online submissions in C&EN Chemistry in Picture. Monthly winners receive $50, with a grand prize winner receiving a Canon Digital SLR camera and their photo published in the C&EN magazine. C&EN has been produced by the American Chemical Society since 1923.